The arrival of spring, or in this year’s case summer like weather, means our production and installation has ramped up for another busy season. Although site furniture is a year round business it certainly has its peek times which is something we at Classic Displays have grown accustomed to managing. We work with a variety of customers including large cities and property managers who often order a large quantity of products for multiple locations, which means simply manufacturing and shipping the product isn’t always the easiest or best option. It’s for this reason we offer our customers our installation services. 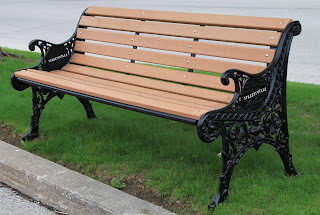 Here at Classic Displays we understand that sometimes the last thing a customer wants to worry about is finding someone to install the benches or waste bins they have just purchased, which is why we have a crew dedicated to the installation of our products, and trust us, they are a very busy crew. In a single week they can be in Tillsonburg one day and Streetsville the next. In fact they were there, last week. In Streetsville’s case they were looking to replace a number of wooden benches in their BIA, and having worked with them many times in the past they came to us. 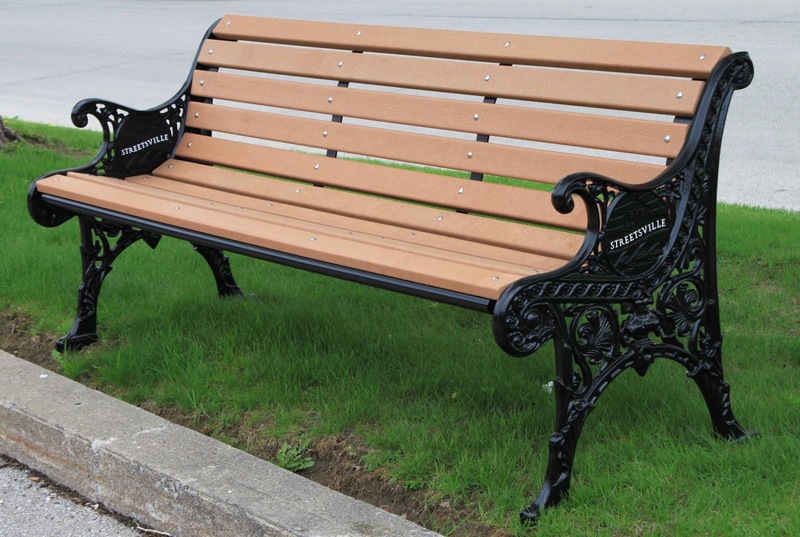 Using the existing design of their benches we made slight modifications to our Classic Heritage model to meet their request. Once produced, in house of course, an installation date was set and our crew went out, removed the existing benches and installed the new ones. 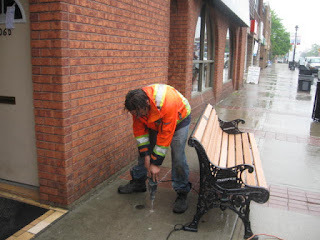 The benches were bolted to the ground using stainless steel hardware (we always recommend our products be affixed to the ground) to avoid rusting and maintain an esthetically pleasing look while ensuring the bench is secure. Once the installation of the benches was complete our crew delivered the old benches to the cities yard as requested. As our installers can attest Mother Nature doesn’t always comply with our installation schedule (stay tuned for posts during Christmas installation season) but that’s what layers are for! In busy times like this we can’t let some bad weather get in the way of meeting our customers deadlines. 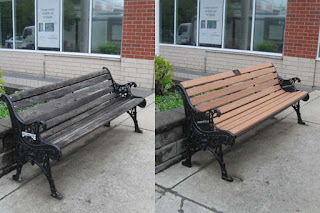 With customer satisfaction being our number one priority, we want our products to not only enhance a city street or commercial property but act as a reminder to our customers of how easy it was to work with us so they will want to continue to work with us in the future.